After my last sunburn this past weekend on the Tuscan beaches, I’ve decided to skip the seaside and visit Valdorcia, an area I personally love because of its stunning landscapes, many of which have been immortalized in movies. 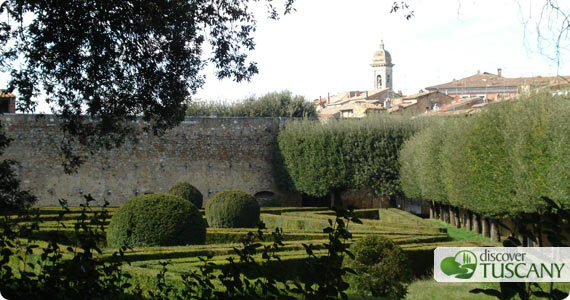 On Saturday we’ll first go to San Quirico D’Orcia for a quiet walk through the historical center, with the intention to specifically revisit the striking Romanesque Collegiata Church and the Leopoldini’s Gardens, a wonderful example of Renaissance gardens. For lunch we’ll then head on to Bagno Vignoni and have a delicious lunch with local specialities at the Locanda del Loggiato, where I’ve been in the past and return to often. Then we move on to Pienza where the Cheese Festival, or Festa del Cacio, will be taking place on the following Sunday, September 5th with its particular games. I also want to take the opportunity to visit the splendid Palazzo Piccolomini, a fine example of Renaissance architecture. On Sunday, we’ll head on to Montepulciano to see the exhibition about the Macchiaioli, called “The Macchiaioli in Montepulciano. Hidden and Private Masterpieces”. The exhibit is at the Crociani Art Gallery at the Logge della Mercanzia and displays over 70 works by Macchiaioli masters from a private collection, generally not open to the public. In the afternoon we’re looking forward to witnessing the Bravìo delle Botti, a hard race where the eight districts of Montepulciano push large barrels uphill to win the Bravio, a precious painted cloth. The race has two strong men from each district thrust the heavy barrels along the streets of the historical center of Montepulciano, which were also seen in the recent Twilight New Moon series film. The race will start at 7pm but starting from 3 pm there will be a parade in historical costume and then a Renaissance show in the main square. Wish you a happy ending for this August, hoping my suggestions help you plan your own last weekend of the month!